The rise of Internet brought countless benefits to mankind and one of the most useful ones is of course, the ability to earn money online. With the help of internet, not only is it possible to avoid the standard “9 to 5” working hours and boring corporate offices but also travel the world and work from wherever we want. In this article I've reviewed some of the best ways to earn money online. If you have a free flat or a room you can rent, AirBnB is a website that can help you to find people who are looking for accommodation. You can rent your premises on daily, weekly or monthly basis and depending on the city you live in and type and location of your property you can earn from $20 to several hundred dollars per day. Web-design is much simpler today, when we have so many intuitive content management systems at our disposal. Even now there are many individuals and companies that don’t have time to create their own websites. With some basic CSS, HTML, WordPress, Joomla and Drupal knowledge you can earn significant funds on freelance marketplaces. Content marketing is currently one of the most popular types of business promotion, and it requires piles of video, audio and textual content. That’s why the need for content creators is constantly growing. Articles are the basic form of content, and people with some writing talent and solid knowledge of grammar and spelling can earn up to several hundred dollars a day, by writing them. Most writers find their gigs on online marketplaces like Upwork.com and Fiverr.com, while there are also specialized websites for connecting writers with content publishers like iWriter.com and Bloggingpro.com. If you already have a website, Google AdSense platform offers you the opportunity to monetize the interesting content you are sharing. This platform very is simple for signing up and adding ads to your website or blog. Pay-per-click rates mainly depend on your website demographics, which means that content that targets people from developed countries preform much better and can bring you more money. Also Read: In The Wake Of Recent Talk Talk Hacks, How Secure Is Your Business? For running Amazon Associates platform, you will also need a web presentation and a lot of interesting content. Platform allows you to post Amazon offers in the form of links and banner ads, and earn commission for every purchase made by customers who reached Amazon store through your website. 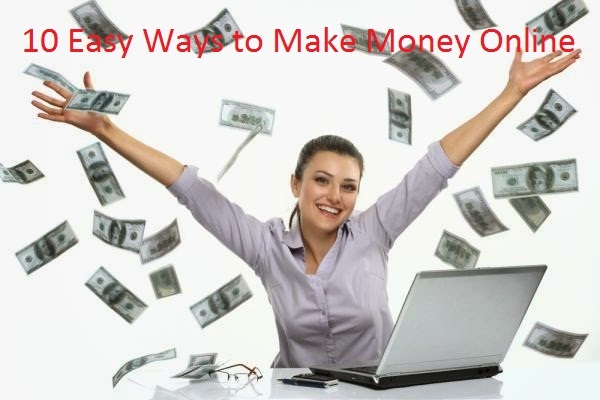 This huge online market place creates many opportunities for earning money online. You can resell goods directly on the website or buy wholesale goods and offer them to eBay crowd. There are hundreds of ‘eBay made me rich’ success stories you can found online, but you should know that earning lots of money on this network requires lots of work that you need to invest in building strong and spotless reputation. Websites like 99design offer great opportunities for graphic designers to earn some money on the side. There are also many designers that work exclusively as freelancers. Logo design is one of the most wanted skills on these freelance market places and you can also design info graphics, banners, commercials and many other things. If you are an artist or an app developer you will love iTunes. Apple’s store allows you to sell your work and place and promote it next to some of the biggest on- and offline brands. Etsy crowd loves handcrafted goods. This is one of the most popular handcraft market places online and it allows artists and craftsmen to promote and sell their work. New members need to add at least five different articles and put them on sale, and wait for bids and offers. There are many people who collect and pay thousands of dollars for good looking and high-quality handmade goods. People with ground breaking ideas can use KickStarter for funding their projects and making theirs and other people’s dreams come true. Website follows crowdfunding concept and allows small-time investors to fund projects they like. Projects need to be presented in an elaborate way, so every investor can realize its benefits. There are many other ways to earn money online and only things you will need for starting you online entrepreneur career are fast internet and a good online payment system to collect the money you've.